Physical Therapy for Knee Ligament Injuries | Podiatry Associates, P.C. 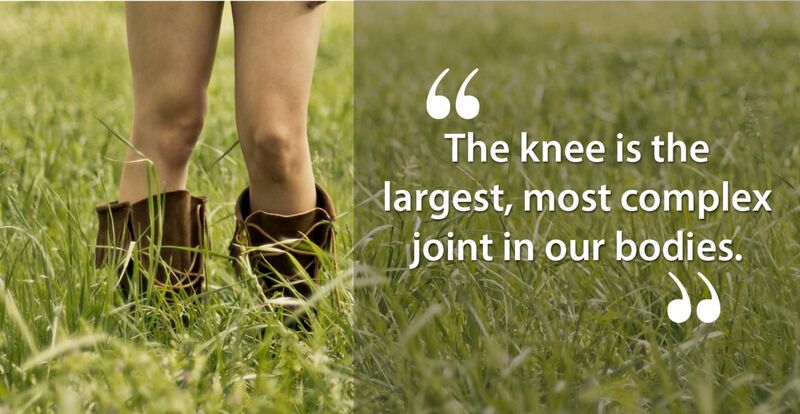 The knee is the largest, most complex joint in our bodies. It’s where the thigh bone and shinbones meet, and those bones are connected with ligaments— strong bands of fibrous tissue that hold the knee in place and give it stability. When any of these ligaments suffer a sprain or tear, you could be sidelined for quite some time. The good news is, with physical therapy, you can recover and return to your sporting activities again. So don’t hang up your running shoes or cleats just yet. There’s no need to retire—you just need to rest and rehabilitate. Ligament tears and sprains are most often a result of a sharp change in direction, landing wrong after a jump, stopping suddenly, or a blunt force blow to the knee, such as in a football tackle. There are several main ligaments that are susceptible to damage. Without our knees we couldn’t walk, run, jump, kick, squat, kneel—you get the picture. Our knees are incredibly useful and imperative for participating in sports. Knee ligament injuries can definitely set you back and keep you out of the game, but for how long? It depends on the ligament and the severity of its injury. Collateral Ligaments— These control sideways motion and brace the knee against unnatural movement. The medial collateral ligament (MCL) is found on the inside of the knee, and the lateral collateral ligament (LCL) runs along the outside. Damage impairs your ability to move from side to side. Cruciate Ligaments— Found inside your knee joint, these cross each other to form an "X" with the posterior cruciate ligament (PCL) in back, and the anterior cruciate ligament (ACL) in front. An injury to either will inhibit the back and forth motion of your knee. Grade 1 (Mild)—The ligament is slightly stretched and has sustained mild damage, but is still able to help keep the knee stable. Recovery time: a few weeks. Grade 2 (Moderate)—Often referred to as a partial tear, the ligament is stretched to the point of becoming loose. Pain, swelling, and bruising can impair movement. Recovery time: up to six weeks. Grade 3 (Severe)—zmost commonly referred to as a complete tear, the ligament is split in two and can no longer support the knee. This can cause swelling and bleeding beneath the skin, and the inability to bear weight. Often there is no pain, as all of the pain fibers are torn. Recovery time: at least three to four months. One of the most common, and most debilitating knee ligament injuries involves the ACL. Most often seen in high demand sports like soccer, football, tennis, gymnastics, hockey, and basketball, damage usually occurs as a result of pivoting or landing oddly. You may hear a popping sound and feel as though your knee is giving out from under you. These injuries are typically complete tears, and in order to return to full function, surgery needs to be performed. Knee ligament injuries are diagnosed by a physical examination and diagnostic testing (X-rays and MRIs). Treatment methods involve bracing to immobilize and protect the knee, and crutches to keep from bearing weight on it. We may prescribe anti-inflammatory medication to reduce swelling and pain. In severe cases, such as those involving the ACL or multiple ligaments, surgery is recommended for those who want to return to sports. Physical therapy should be incorporated into all treatment options as a means of restoring strength, flexibility, and range-of-motion. To find out more on how you can get back in the game, contact Dr. Jennifer Molner at Castle Pines Physical Therapy and Cherry Creek Physical Therapy. Call (303) 805-5156 to make an appointment, or stop by our Castle Pines or Cherry Creek, CO locations today.